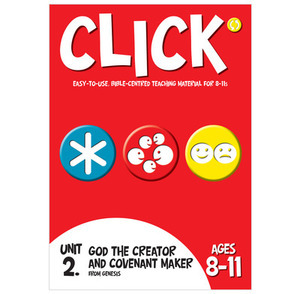 In this unit of Click (8-11s): God the creator and covenant maker, this unit focuses on who God is, and who we are, as shown in the book of Genesis. The children will explore the comings and goings, and the triumphs and disasters, of God's chosen people. They will see that God is faithful, even when His people are not.